First foto Glimpse of Jurassic World (2015). It's Chris Pratt!. 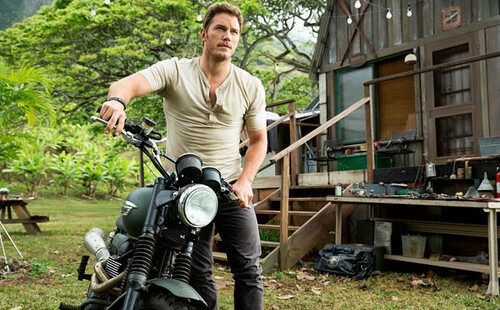 Wallpaper and background images in the Jurassic Park club tagged: photo jurassic park world 2015 chris pratt. This Jurassic Park photo might contain motoragent, motorfiets politieagent, snelheid cop, and motorfiets cop.